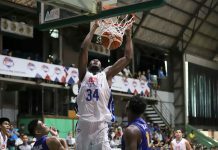 MANILA – Naturalized center Andray Blatche made his return to Gilas Pilipinas after being named as part of the 14-man pool for the final window of the 2019 FIBA World Cup qualifier on Feb. 21 and 24. 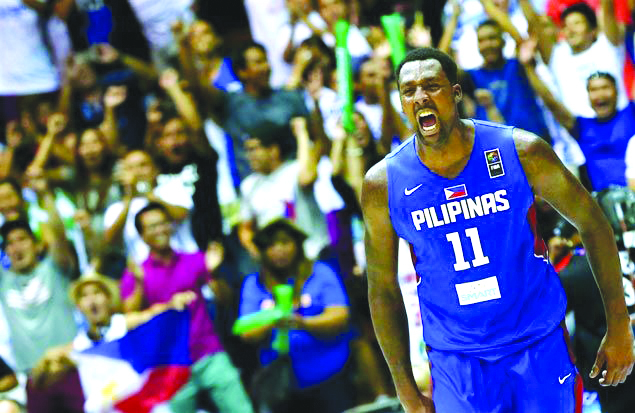 Blatche made the comeback to the national men’s basketball team after serving his FIBA suspension for his involvement in Gilas-Australia brawl last year. Back-up naturalized center Christian Standhardinger of San Miguel Beermen is in the roster, too. 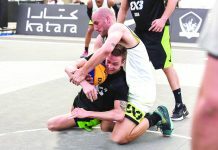 Also making a return after missing the previous window were Roger Pogoy of TNT KaTropa, Raymond Almazan of Rain or Shine Elasto Painters and Magnolia Hotshots’ Andy Mark Barroca, who was part of the original Gilas under Rajko Toroman. 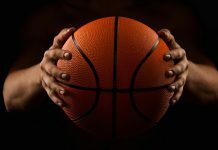 Still part of the Gilas pool were KaTropa’s Jayson Castro and Jeth Troy Rosario, San Miguel Beermen’s June Mar Fajardo and Marcio Lassiter, and Barangay Ginebra San Miguel Kings’ Earl Scottie Thompson and Japeth Aguilar. Completing the national team pool of head coach Joseller Guiao were Hotshots’ Paul Lee, Painters’ Gabriel Norwood and NLEX Road Warriors’ John Paul Erram.